A couple of weeks ago, on a lovely winter weekend, hubby and I decided to get the car and spend the day in the Kangaroo Valley (south of Sydney). Our idea was to have a relaxing day walking around the area, spending time around the charming town they have and of course eat some pies. 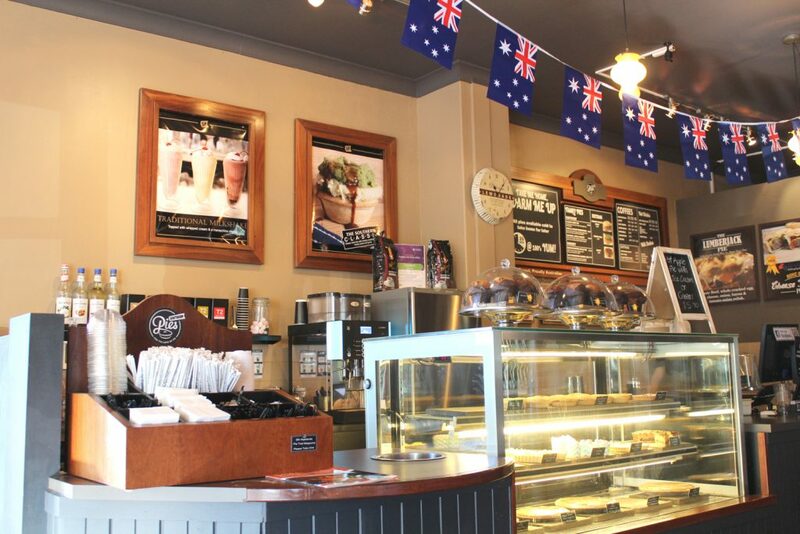 Maybe you don’t know, but Kangaroo Valley is well-known for their pie shops. 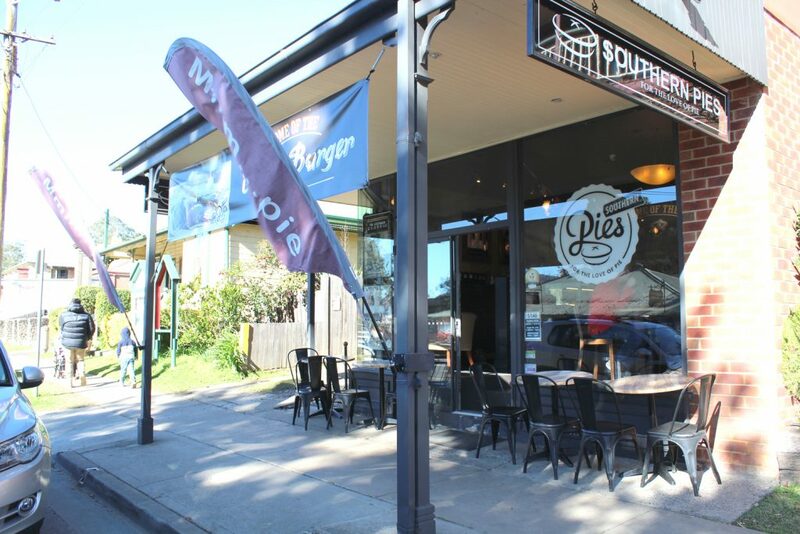 There is even a pie trail with more than 24 shops listed! This time we decided to try only one in their list, and the chosen one was this place called Southern Pies. Hubby: Steak, bacon, and cheese. 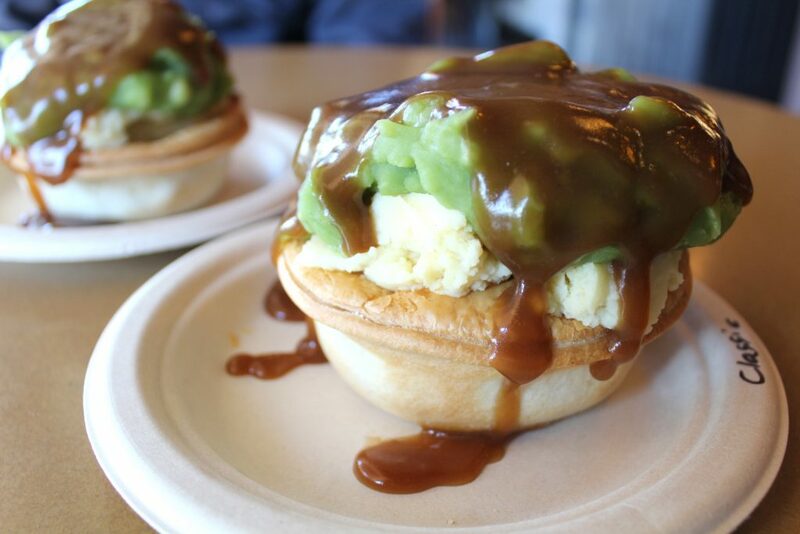 Both topped with mashed potatoes, mashed peas, and gravy. 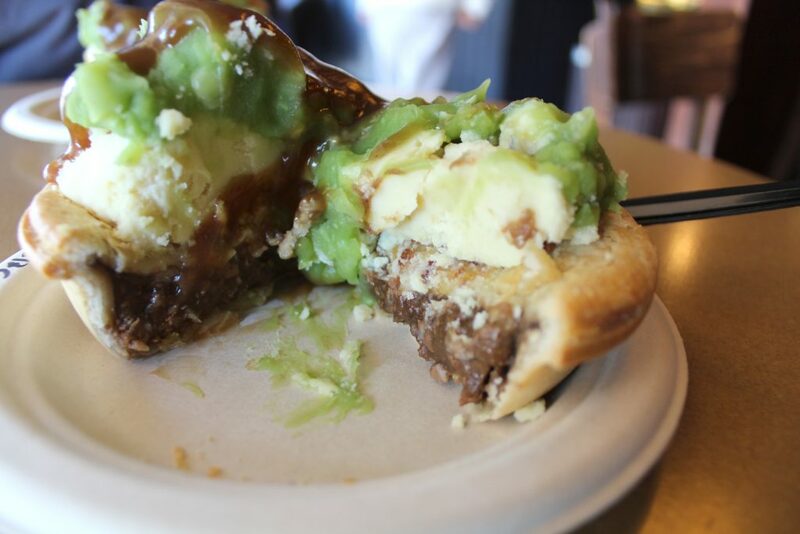 Classic beef + steak, bacon, and cheese pies topped with mashed potatoes, mashed peas, and gravy. In case you weren’t mouth-watering just yet, an inside look of the classic beef pie. We had it for lunch and it was enough to keep us up and running. I reckon it was something around A$11 for each pie + all the toppings. They also sell family size pies, coffee, and a few dessert options.